Painting your home can make a significant difference in its curb appeal and resale value. Whether it is just a simple interior paint job, or an elaborate exterior painting project, the entire undertaking can seem overwhelming. Just walk through the paint section of your local hardware store and you can see just how many choices there are for painting your home. When putting money towards upgrading your home with a professional paint job, it is important to take into account the costs of the work to be done. The cost of hiring a painter depends on a variety of factors. First, you have to take into account the size of the project, as this will determine the amount of paint needed and the amount of time the job will take. Painting even just one small room in your home can take a good amount of primer and paint. In order to determine the amount of paint and primer you may need, use a paint calculator. These supplies add up quickly. With DIY jobs, there is also a fear of making costly mistakes, and depending on how long the task takes you to do by yourself, you also lose access to the room for an extended amount of time. Hiring a professional painting company means you do not have to deal with collecting painting supplies or losing access a room in your home for an extended period of time. When hiring professional painters, most of the budget goes towards paint and a professional labor force. Painters may charge a flat fee for specific projects, or they may charge by the hour. When researching painting companies, ask them to include a time estimate in their comprehensive estimate of total price. 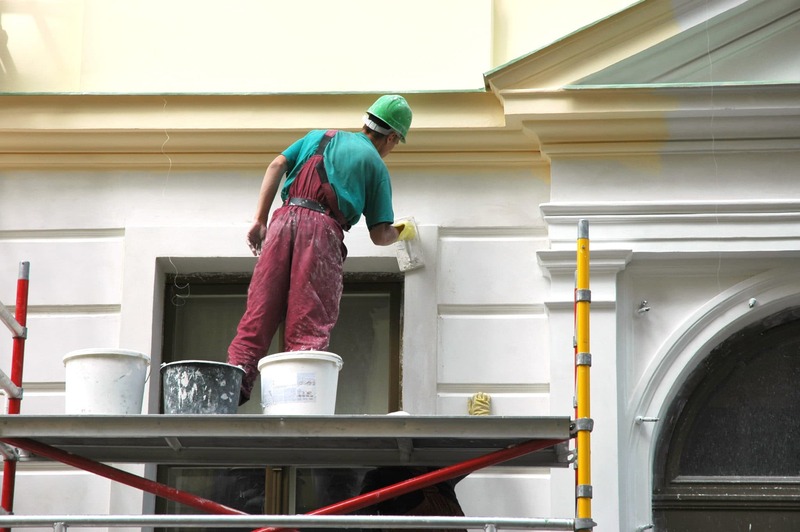 High-quality painting companies will provide a time estimate and stick to it to ensure quality service. 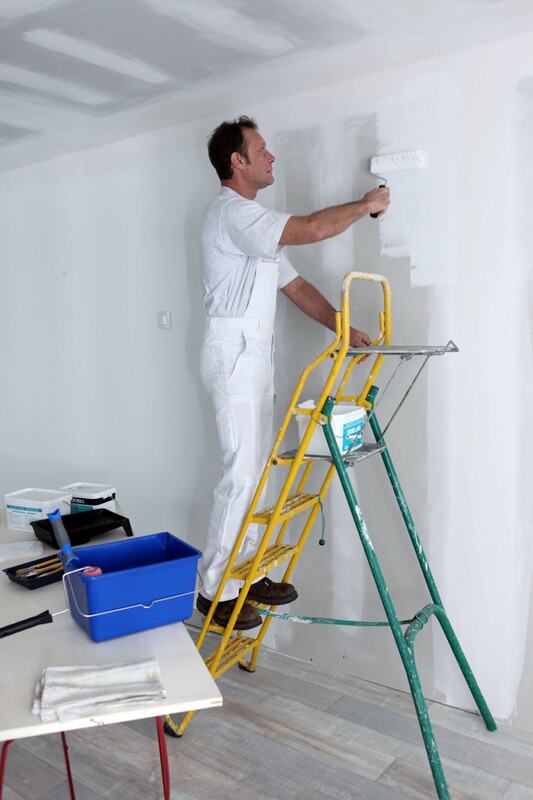 Having a comprehensive estimate of all of the costs and how the budget is being employed is vital because it ensures that the painter is not taking advantage of you and is providing the highest quality work for the price. When painting the exterior of your home, you should know that some exterior materials cost more to paint because they require specialized equipment and paint. In general, a house’s exterior is going to cost more than an interior room to paint, simply because the workspace is much larger. In determining your budget, you should look into the proper preparations needed for your specific home. 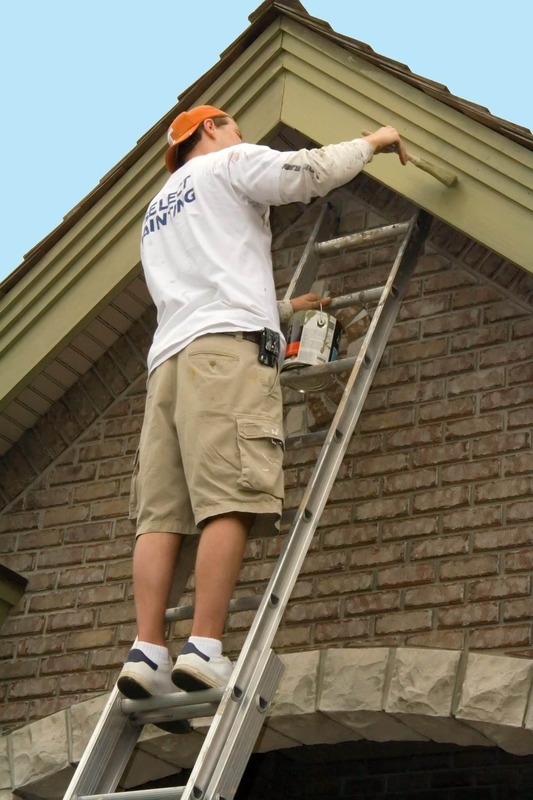 For example, painting a stucco exterior may cost the most amount of money because the prep work needed is extensive and includes cleaning and filling in cracks. The paint options for stucco paint are also limited as some paint will chip or peel depending on the particular climate. Painting stucco is one of the priciest exterior paint jobs. It is still advised to use high-quality paint on your exterior, as it will have to withstand the elements, and of course should look good. It is also worth noting that exterior paint should always be done with two coats, so make sure to take into account that the amount of paint you purchase will need to cover the exterior surface twice when budgeting your painting project. Keep in mind that one gallon of paint covers about 400 sq ft, so in order to cover a 2000 sq ft space twice, you will need around 10 gallons of paint. Now, when budgeting, you may use a lower cost paint, around $30 a gallon, that comes out to about $300 for just paint alone. Make sure to hire a top-rated painting company, because they will have a verifiable track record with previous clients, and will likely provide the best painting job. Hiring a painting company is the best choice in order to get a high-quality paint job at a price point that doesn’t break the bank. Make sure that you hire the best painting company that you can, one that cares about providing quality workmanship and a headache-free experience. Wright Paint offers a variety of professional interior and exterior painting services for your home. Don’t go it alone, as we can help with comprehensive painting estimates, reliable service, paint selection assistance, and a focus on client communication. Contact us today for an estimate for your residential painting job.